The most spellbinding new children's fantasy series of 2019, in a stunning hardback edition with beautiful black-and-white inside illustrations by Sarah Warburton. Perfect for fans of Cressida Cowell and Nevermoor. Willow Moss, the youngest and least powerful sister in a family of witches, has a magical ability for finding lost things - like keys, or socks, or wooden teeth. Useful, but not exactly exciting . 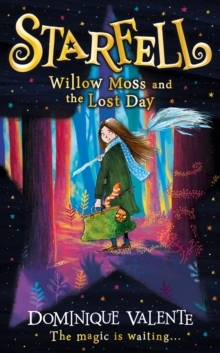 . . Then the most powerful witch in the world of Starfell turns up at Willow's door and asks for her help. A whole day - last Tuesday to be precise - has gone missing. Completely. And, without it, the whole universe could unravel. Now Willow holds the fate of Starfell in her rather unremarkable hands . . . Can she save the day - by finding the lost one? Step into Starfell, a world crackling with warmth, wit and magic, perfect for readers aged 8-12.